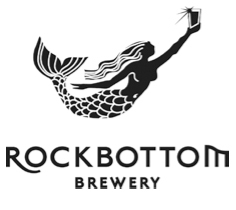 Rockbottom’s cask ale for today at 1pm its Big Water Brown Ale. Rockbottom is also looking for some volunteers to pick spruce tips after sampling some of today’s cask offering. The harvesting is scheduled to start after leaving the pub around 1:30 and will take place near Dartmouth Crossing. Volunteers will be rewarded with a couple of complementary pints from brewer Greg Nash. Anyone interested is asked to be by the pub today around 1pm.